Oracle released a managed Blockchain as a Service offering in July 2018. This session will cover the enhancements that Oracle has made to Fabric to simplify development and deployment of consortium style blockchains. These enhancements include providing management tooling to ease the burden of configuration and deployment, integration with Oracle's Identity Cloud Service (IDCS), performance and usability enhancements made to the state database including providing SQL based rich queries that can be safely used to query the ledger, as well as other enhancements such as a REST Proxy to provide REST interfaces to the blockchain. 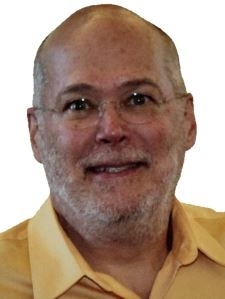 Todd Little has over 40 years of software architecture and software development experience in everything from microcode in hardware interfaces to enterprise software and middleware. He is particularly interested in distributed systems achieving high performance and availability. His modus operendi is to help organizations pragmatically introduce new technologies and processes into their enterprise solutions. He is not interested in cryptocurrencies, bitcoin, or especially ICOs. He would not look good in an orange jumpsuit. Todd is currently a member of the Hyperledger Privacy and Confidentiality Working Group, and the Hyperledger Performance and Scale Working Group. Prior to diving into blockchain, Todd was and still is the Chief Architect for the Oracle Tuxedo product family.